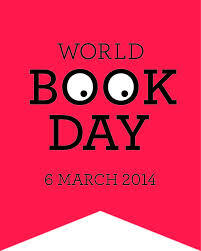 On the 7th of March we celebrated World Book Day! There were all sorts of different characters such as Harry Potter, Minnie Mouse, Dorothy from The Wizard of Oz, Miss. Trunchbull from Matilda and an array of princesses, Wally from Where’s Wally and a few soccer players! The school yard was changed from a normal school to a magical, fantasy world. Even some of the teachers participated in this colourful event such as Mrs Mac dressed up as Pocahontas’s mother and Mr Curran as Where’s Wally. The day was a great success and stretched our imagination! By Lily Keane, Shona Duffy and Kayleigh McNamara!!! !